Another delicious Compound Butter to add to the collection! This time we’re turning up the heat with our Chili Flavored Compound Butter. If chili is your jam, this is the recipe for you! 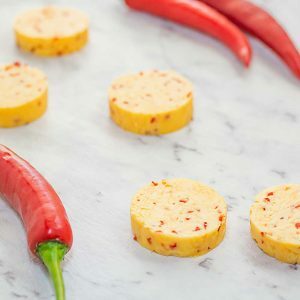 Add a slice of this tasty butter to your next meal for an instant kick, and if the Serrano Chili’s aren’t hot enough, swap them out for a few habanero’s or ghost chilis. We love to fry our eggs in chili butter, it gives that extra kick to get you started and the fat keep you fueled for hours. Plus it saves time having to cut up chili for every meal. 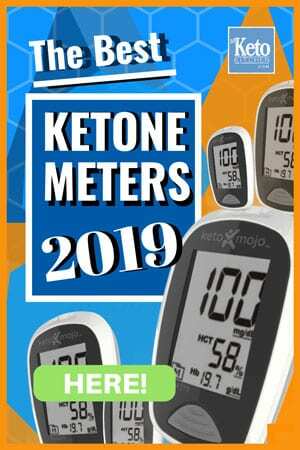 This recipe makes 18 serves, one serve is 1 tablespoon. The butter can safely be stored in the fridge for up to 2 weeks, or in the freezer for 3 months. Chili Safety Warning – don’t touch any sensitive areas (eyes/nose etc) while preparing chili’s and ensure you wash your hand thoroughly afterward. Finely chop the Serrano Chilies and place into a mixing bowl. Add the softened butter, hot sauce, salt and pepper and mix well. Gently spoon the mixture onto a sheet of cling film and roll into a log shape. Set in the fridge for 20 minutes. 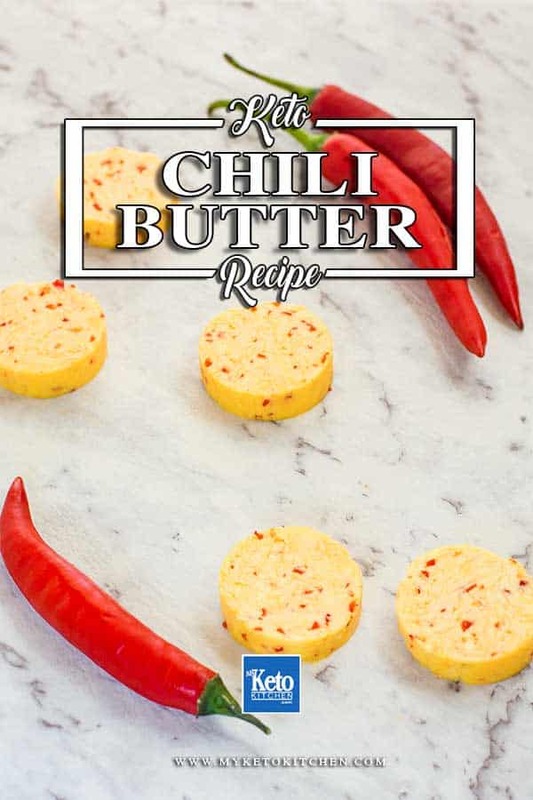 To make a larger batch of Chili Flavored Compound Butter, simply adjust the serving amounts in our easy to use recipe card above.